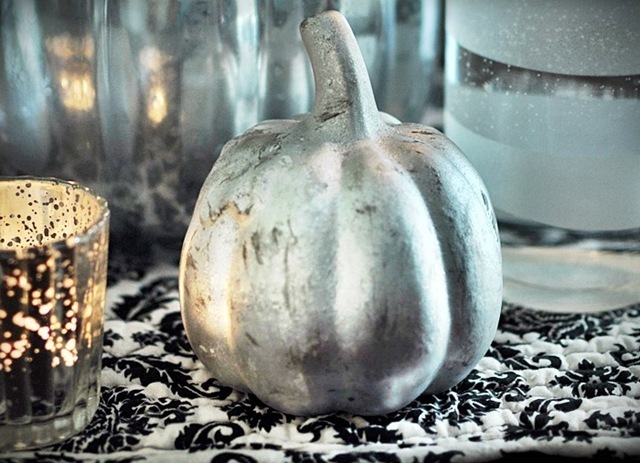 If you’re finding yourself super busy this October, but would still love a spooky home this Halloween, take a look at these decor ideas! Budget friendly and easy, these decorations look like you’ve spent hours working on them, but haven’t! Don’t worry, your secret is safe with us! 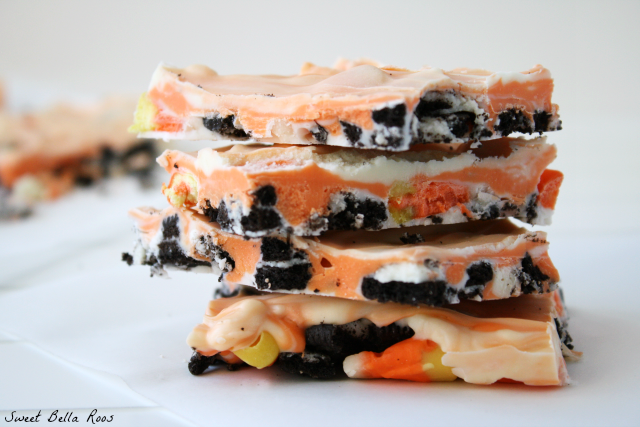 Halloween is one of our favorite holidays! Turning our home into a realm of spooky and creepy is always fun! Sometimes other things can get in the way of the Halloween spirit, and there isn’t enough time to get all the decor ready. Have no fear, these decorations are quick and easy, so let’s get started! 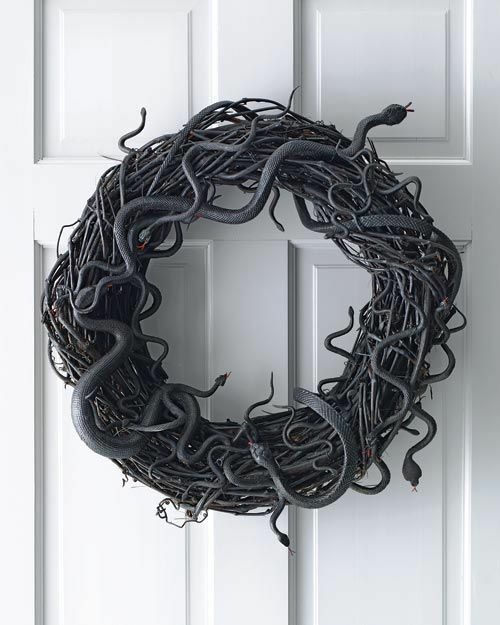 Get out a plain vine wreath and spray paint it black. The plastic snakes you can find at any dollar store, and spray paint them too if you can’t find any in black. Glue them on using hot glue and you’re done! Tutorial over at Martha Stewart. 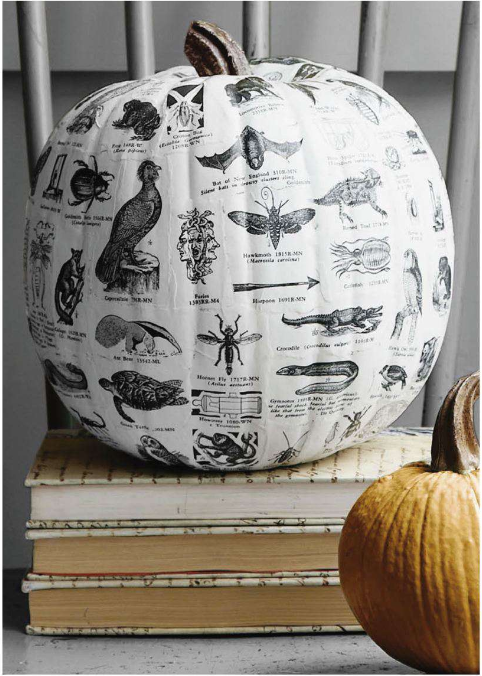 Mod Podge creepy print-outs onto a pumpkin! Vintage encyclopaedia images work great, and you can find tonnes over at The Graphics Fairy. 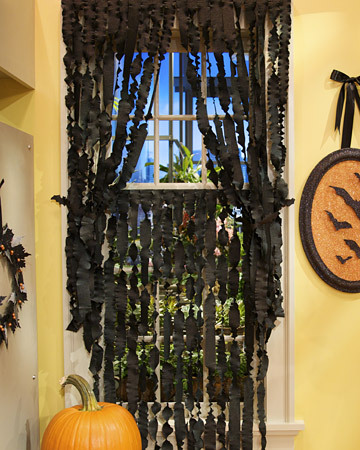 No spooky home would be complete without creepy, torn curtains! Pick up crepe paper streamers at the dollar store for this easy project! Tutorial here. 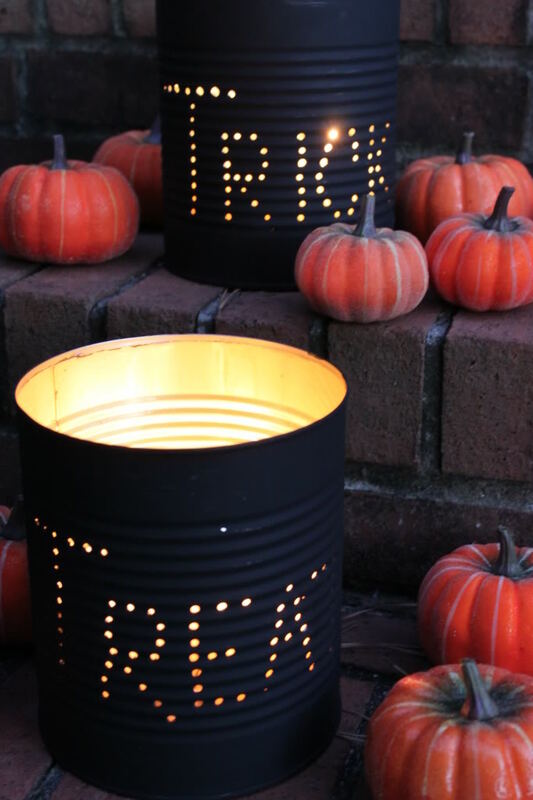 Save your tin cans for this project! After you’ve washed the can, simply poke holes using a nail and hammer to spell out a creepy message. 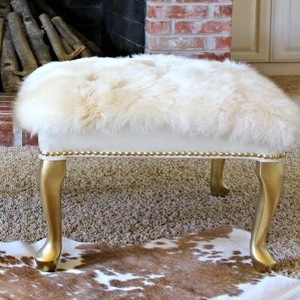 Then, give it a coat or two of black spray paint and place a candle inside. Make a few to line your porch steps! Tutorial here. 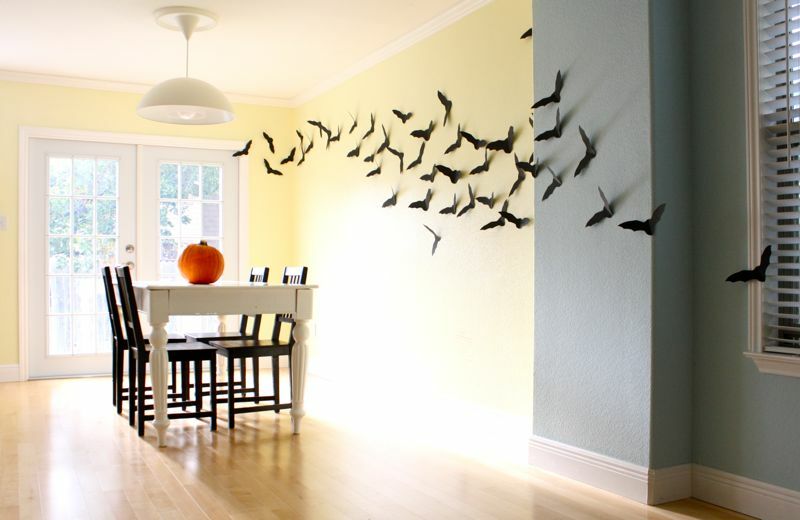 Cut bats out of construction paper and tape them to your wall, door, mantle, or any other place that needs a dose of creepy! 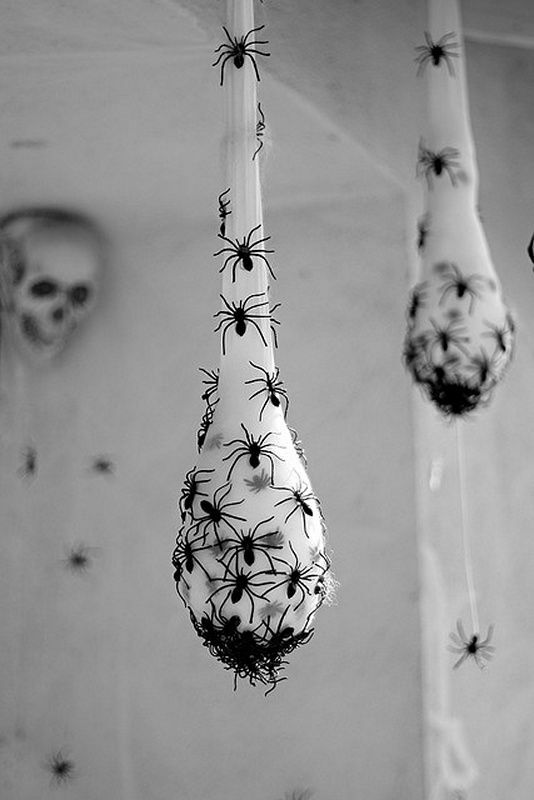 Slightly on the disgusting side, these spider web egg sacks are made using nylon stockings! Stuff them with cotton and glue on cheap fake spiders from the dollar store. Hang them on your porch to scare your visitors! 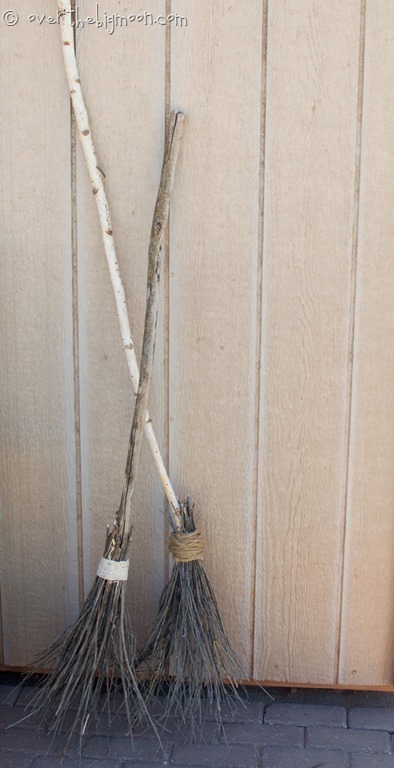 These brooms are made using smaller sticks wrapped around one end of a larger stick using twine. 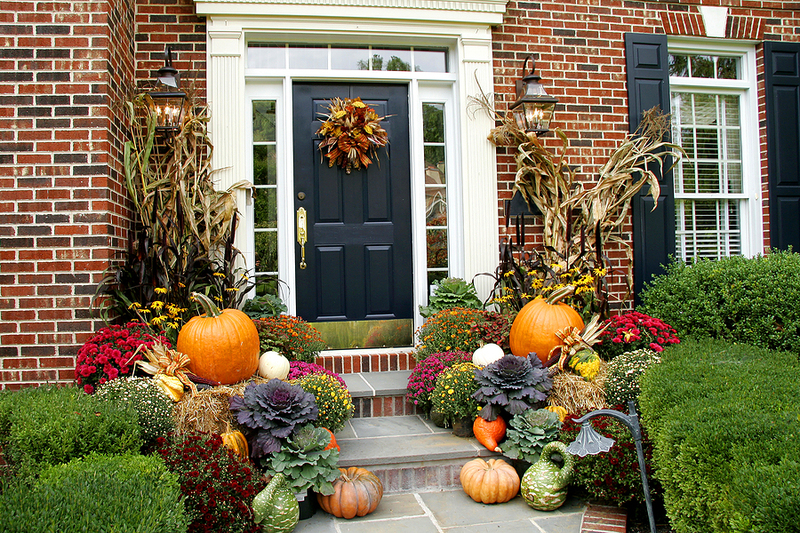 Make a couple of them to adorn your front porch! This project takes a bit of time, but it’s still budget-friendly! Raid your local thrift store, or check out yard sales for dollhouses. Then, simply paint them and decorate them any way you wish. 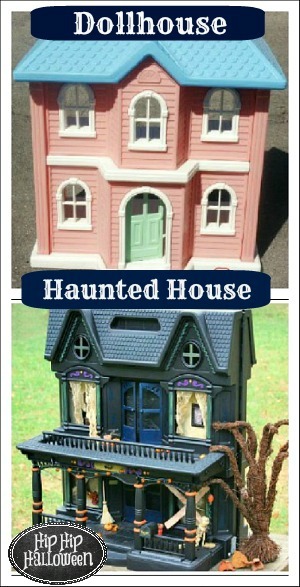 These cute mini haunted houses would look great on a mantle surrounded by creepy cobwebs and candles. Take a look at more photos here. Grab a bunch of witch hats from your local dollar store and hang them from the ceiling with fishing line. 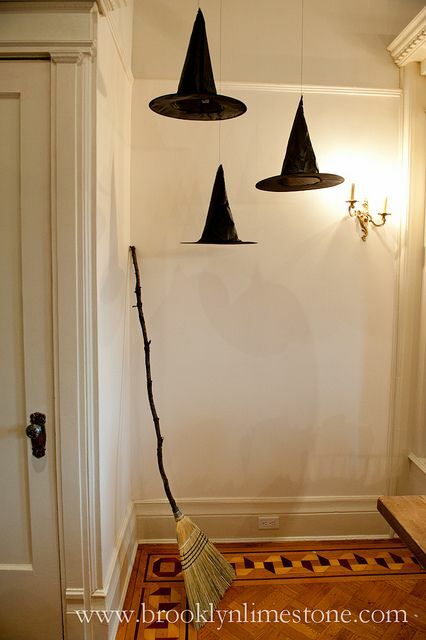 Add your homemade witch broom close by to complete the look! Now we’ve come to the cheapest of the cheap! 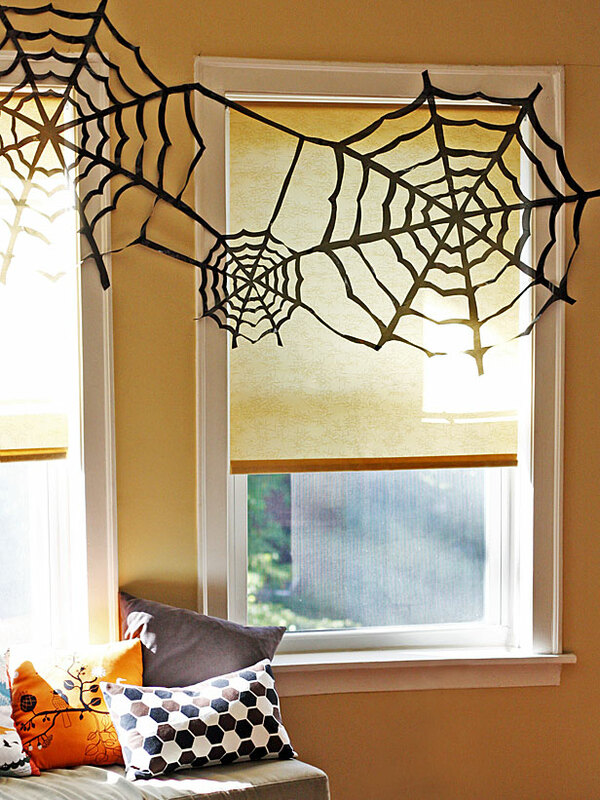 These trash bag spider webs can be made in minutes, and they cost next to nothing. Easy tutorial found here. Looking for more Halloween and Fall articles? We’ve got you covered! Photos: Martha Stewart, Country Living Magazine, Jolly Mom, Dana Made It, Tammy Perry, Over the Big Moon, Hip Hip Halloween, Brooklyn Limestone, HGTV.